We all know what a wedding guest list is. 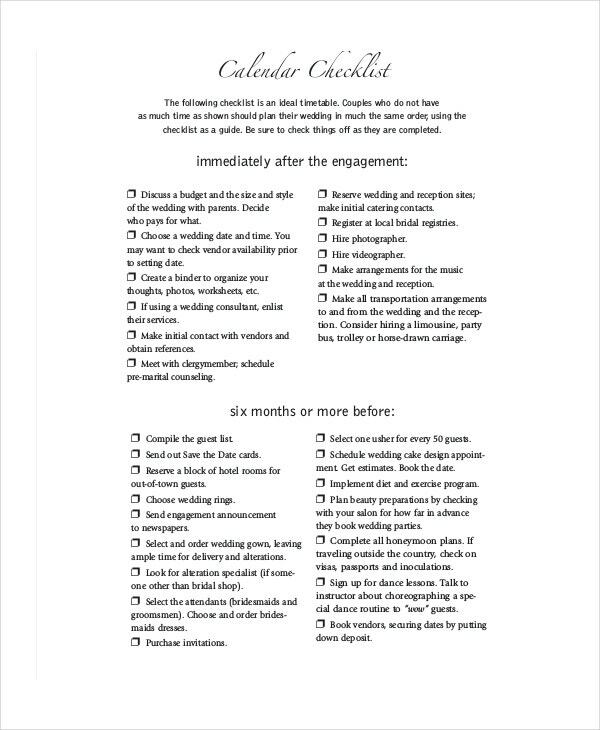 When it comes to wedding plans, this is one of the first things you must do. Unless you have an idea of all the guests coming to your wedding, how can you make progress with the rest of the planning? However, designing a guest list can be pretty tedious unless of course you take the shorter way out. In that case, you can take a look at these templates below. If you are sending out wedding invitations, you would be needing your guests’ addresses as well. In that case, you could use the wedding template found here. 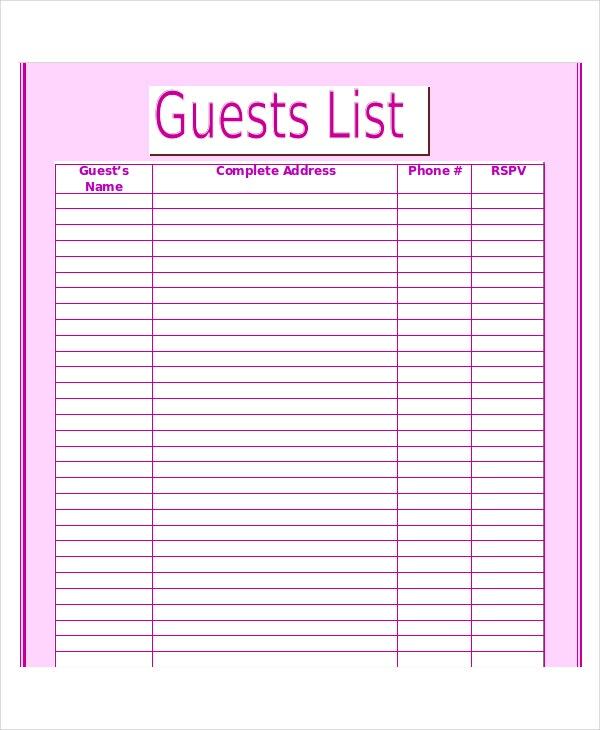 This template is a classic example of what a guest list should look like and all that it should contain. Also, the template that you see here comes in Excel format. Are you throwing a bridal shower for your friend? Then you definitely need a guest list for that so that you don’t miss out any person. 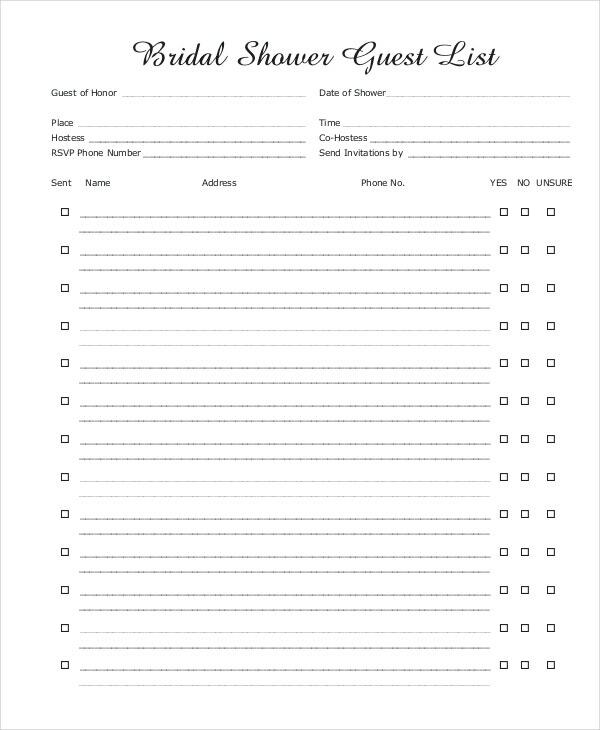 You can use the contact list template here for that. 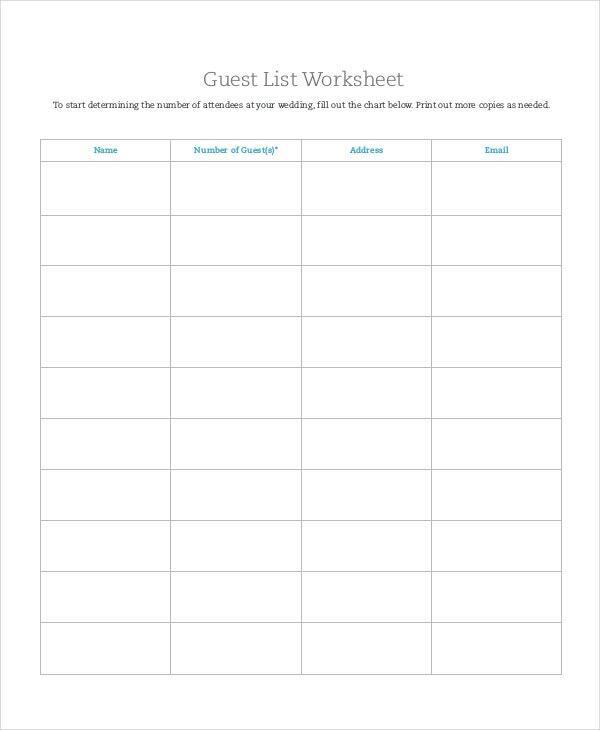 > Why should you use the Wedding Guest List Templates? Planning a wedding is probably one of the most difficult things you will ever do. Everything has to go off seamlessly for you to have a perfect wedding. The first step in this direction would be coming up with a well-organised guest list. The list should paint a clear picture of the number of guests attending, their families or their plus ones. Now if you have to focus on the format of the guest list as well as the other wedding responsibilities, you would be wasting precious time. 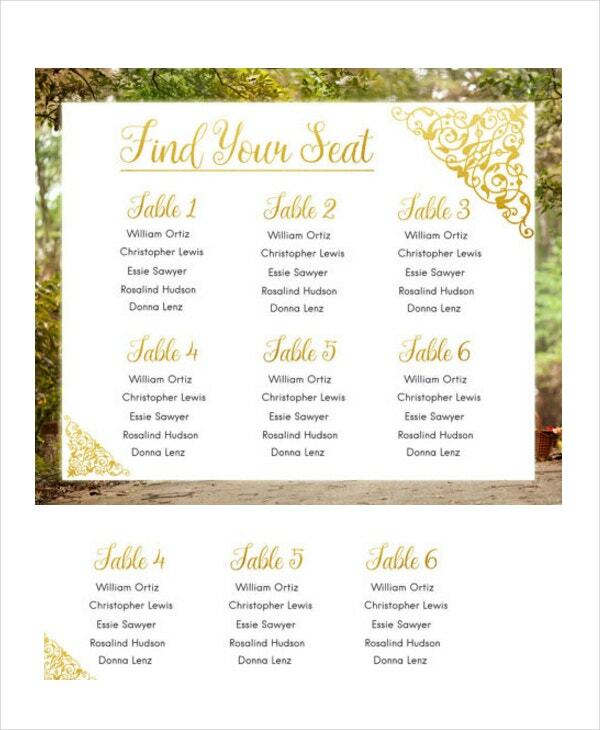 Instead, you could use the wedding list templates like the ones found here. 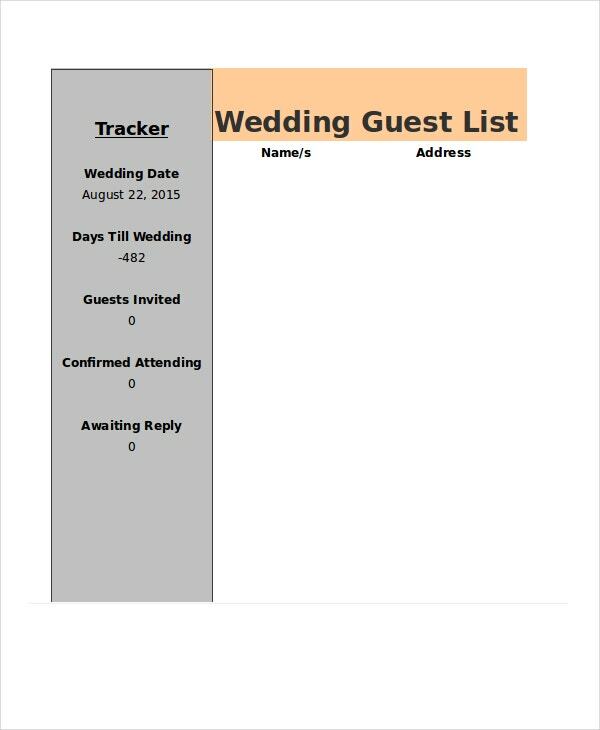 This wedding guest list template comes in an editable format with unlimited scope for customization. You can edit and customize or personalize the template any way you please. 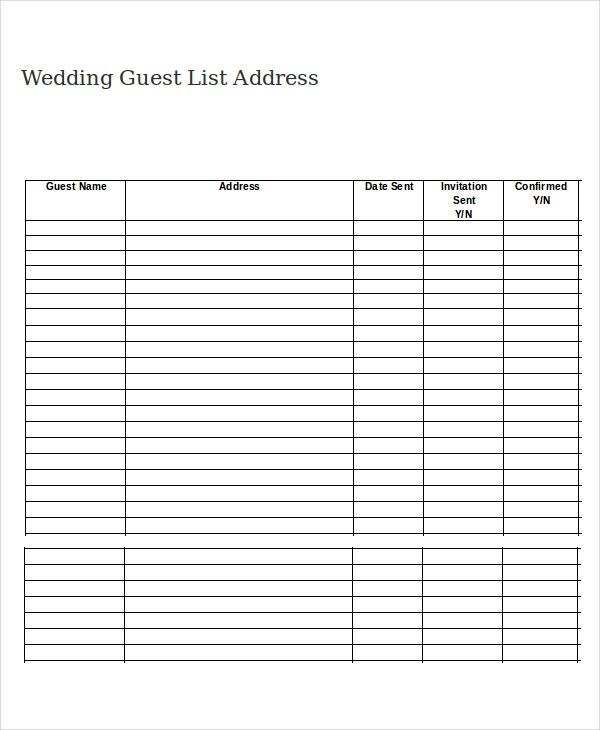 This wedding guest list template comes with rows and columns and sample space for you to fill in the details. That makes this template very easy to use as well. 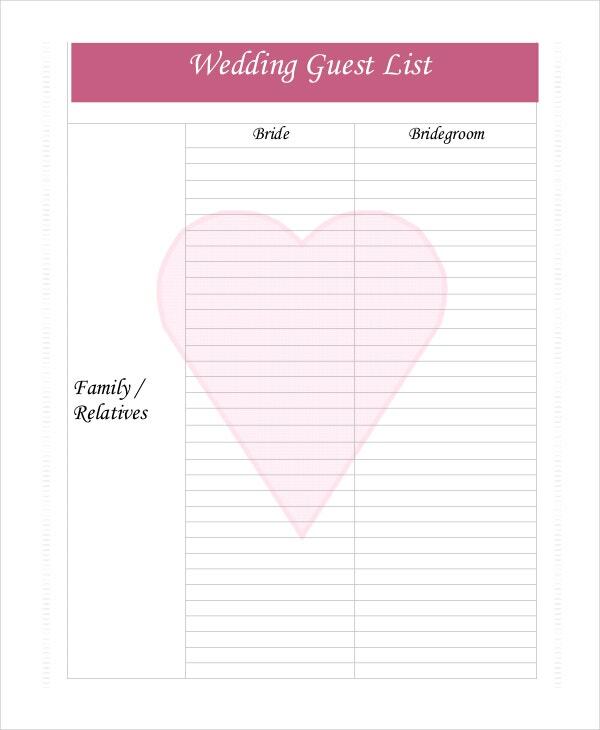 > How to use the Wedding Guest List Templates? 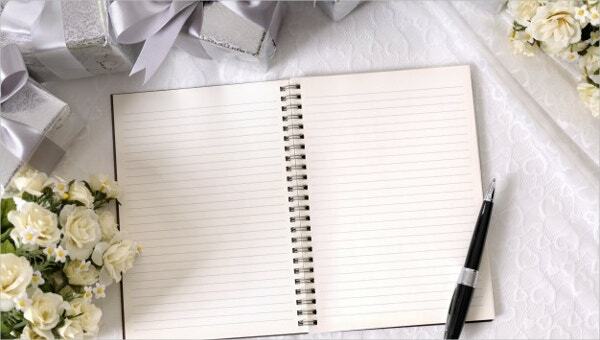 The wedding list templates like the ones found here come in a number of easy to use formats. If you have gone through the templates, you would have noticed how they resemble Excel sheets or worksheets. That makes the templates easier to use. You will be provided with several columns for all your information. Once you download the template of your choice, you can start organizing the information in an organized manner there. Also, the templates here are easy to edit and customize. 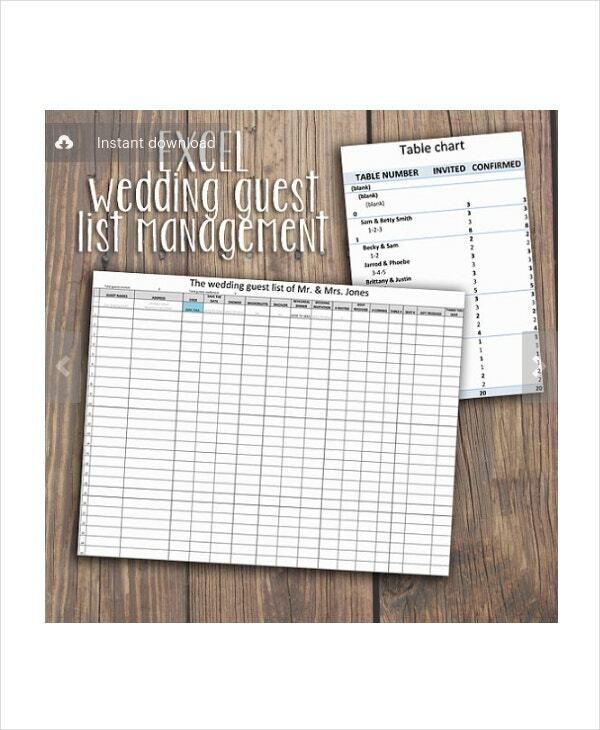 You would be able to make changes to the template and the guest list as and when necessary. In this section here, we have brought to you a range of wedding templates which you can make use of. The templates here are not only very easy to use but also are professionally designed. They look smart, official, and bear a professional tone. Also, the templates here come in easy to use formats.